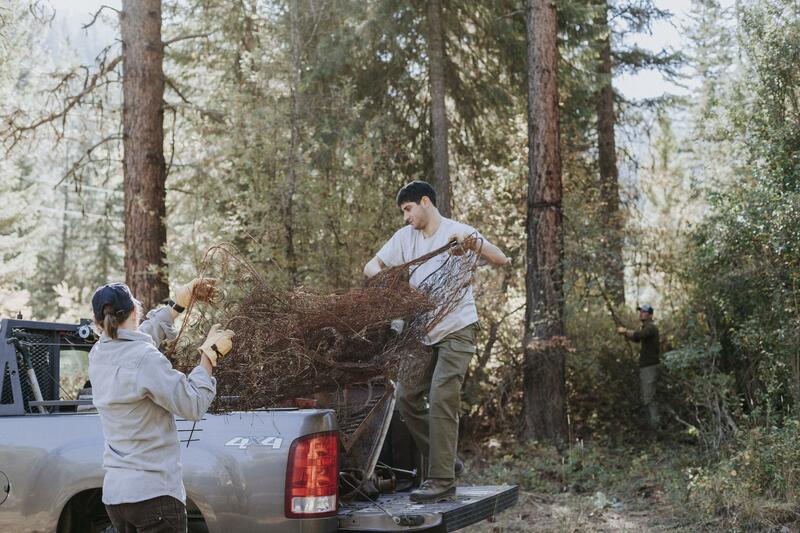 A volunteer with Backcountry Hunters and Anglers participates in a service day to celebrate public lands. Public lands are a big deal in the mountain west. Conservationists across our region are celebrating these lands all this month. And “public lands day” has taken on new significance for advocates who are worried about the future of these open spaces. In Utah and Idaho for example, federal lands equal more than 60 percent of the total land in the state. Volunteers are rolling up their sleeves all this month to show their love for these national parks, wildlife refuges, trail systems and wilderness areas. "Clean up days, trash clean up, trail building, all kinds of interactions on our public lands to help improve and protect those lands," says Ryan Busse, chair of the board of Backcountry Hunters and Anglers. Some members of congress have recently advocated for more state or local control of federal lands. And the 2016 GOP platform included language in support of turning some areas over to states. Although such transfers haven’t happened on a big scale, Ryan Busse says hunters and public lands advocates are now on the defensive. "I think our folks have always been very appreciative of our public lands, but they’re taking them much less for granted now that they’re coming under direct political attack." The federal government manages more than 640 million acres of land, most of which is in the West. Find reporter Amanda Peacher on Twitter @amandapeacher. Copyright 2018 Boise State Public Radio. To see more, visit Boise State Public Radio.